Originally hailing from the silver and gold jewellery industry in London UK, the Frost Family eventually made their way to Australia, arriving as gem and diamond traders for the major local retailers. Over 70 years ago they branched out on their own to create the family brand that is now conveniently located the heart of Sydney CBD. 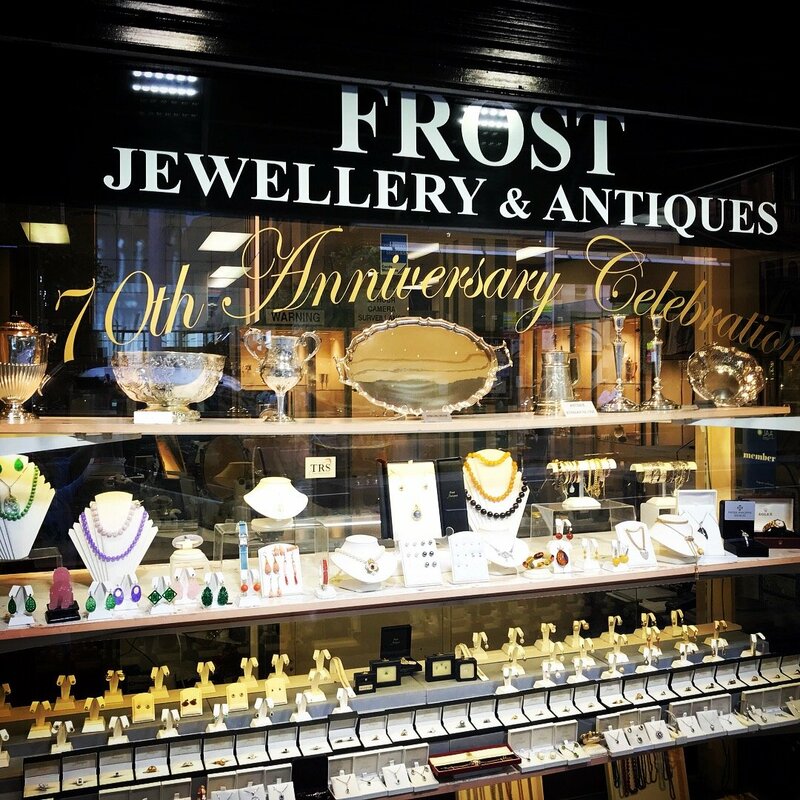 The Frost family are the experts that generations of families, lovers of fine jewellery & antiques, collectors and even the other retailers and experts rely on when they simply must have the best quality pieces, design or advice and valuation. We welcome clients throughout the business week or by appointment at your discretion. Follow Us on social media for the latest arrivals and special offers.